You might think I really was a “crazy cat lady” with all of the “Cat Eye” products I’ve been trying lately but with the L’Oréal Feline Collection I couldn’t resist. I already reviewed the Voluminous Feline Mascara , so next is the Voluminous Noir Liner. 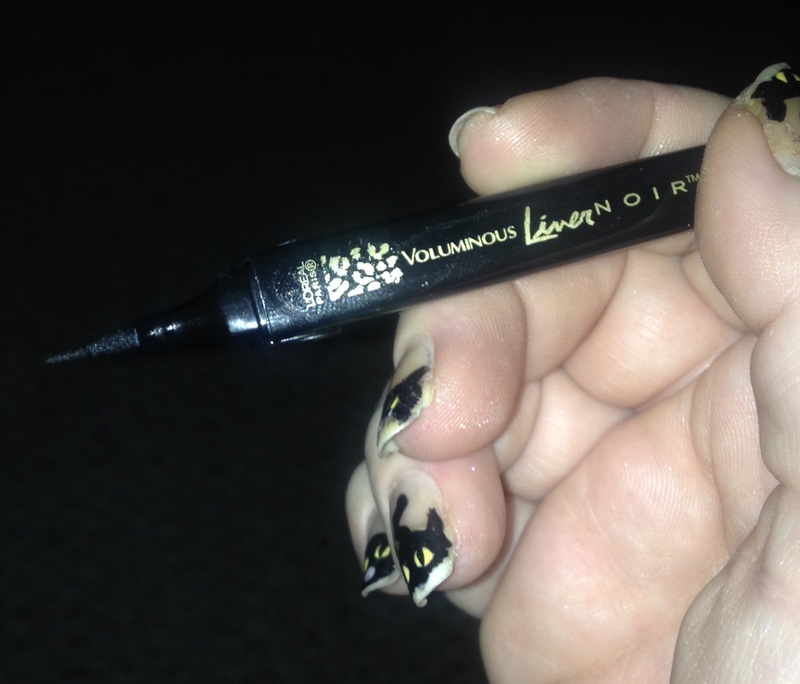 L’Oréal Voluminous Noir Liner has a felt tip making it easy to apply. It has a dark black shade that seems to become a matte finish once dry. The tip of the liner applicator and the shape of the container make this liner easy to use, providing great precision and control. It is lightweight and felt like there was nothing in my hand when I was applying it and it also allowed me to create a super sharp winged tail end with ease. I was able to apply very thin lines and thicker lines depending on the look I wanted that day. 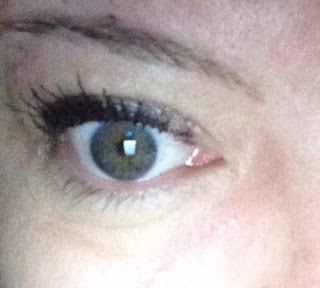 I found it to smudge throughout the day, (maybe because I have teary eyes) it was a pain to have a pretty winged eye and in a couple hours have to remove it because it is smudged all over that area. I tried it without the winged tail and it would still smudge onto my eyelid. As for all day wear, it didn’t last for me. Although I liked the application of this liner and it was easy to do a “Winged Look”, I found it smudged too much for me and didn’t last a few hours. You can read my review on L’Oréal Voluminous Feline Mascara, click HERE! or where ever L’Oréal Cosmetics are sold.